We are proud to announce that the module Fleet has been completed. Three days ago the first fleet was built, assembled and sent to deep space. This module was the biggest challenge so far. This important milestone has been successfully achieved. Now, we're working on the next module. We are now ready to start in 7 days. What's happened in the NextColony universe? We would like to point this out clearly: 30% of the income will go back to you. Rewarded will be active players, successful players and alliances that built and defend a wonder of the universe. 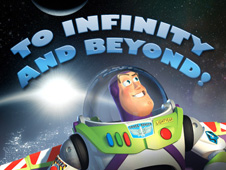 Important note: Wonders of the universe can only be built on a legendary planet. The first two auctions ended with an impressive total of 8479 STEEM, and the 3rd and last auction is already at 4002 STEEM. There are only 7 days left till the grand finale. The tension's rising. Most of the bids were dropped at the end of the last auction and therefore the end was enormously exciting. Important note: Bid in time, because it's getting hot in the last 30 minutes. We built a true blockchain game which is fully transparent and verifiable. We're convinced that the transparency and verifiability are strong and inherent values of a blockchain game and therefore have a high value for us. Tim wrote about the technology behind NextColony in his last post. All legendary planets sold so far are real bargains in context with the huge universe/value we're building with NextColony. The first three buyers can be happy. Sell your house, your car, and a kidney - otherwise you'll regret it later. Tell your friends, your family, your neighbors, and all your colleagues about the start date. Wil do @powernap. Really looking forward to seeing this game start now. I have been promoting Next Colony on Twitter also. We will get the word out. If you are interested in tech articles, then you can read here and here and here. Hoping that could give more answers. No, we're not fans of referral system because it doesn't have a good effect on the quality of the content. But we're supporting/ voting good articles. I've been using your Steem Monsters stats for many months. Nice to hear that. Honestly, Next Colony has better organised json format to analyse data than SM. Resteemed and thank you we need more and more games on Steem Blockchain! The goal is to achive Tron and Eos status in the dapp department. Can’t wait for launch in a week. We can't wait for the launch, too! Exciting, many of us wait -with high expectations- for the inaugural flight..! Nice to read. This should help a little bit in planning the first flight. I wonder how this bidding works. Is this binding? for the current auction, bid prices are like 2K or 3K STEEM, and bidding accounts do not seem to be "real" ones. Thank you for your question. This is a difficult topic as some people use specialised accounts which do not have the necessary Steem in their own accounts. Generally, bids are binding and we delete unrealistic bids which are way above the current highest bids. In other cases we will give a short notification to small accounts telling them that we will void their bid if they do not move a decent amount of Steem into their account. Does this answer your question? Yes - thank you for the answer. It makes sense. Nice to read. Thank you a lot for you support. Be there when the spacecraft launch and we put the burned earth behind us. That will be exactly the case. Great update! I hope to see more improvement to the project in the future. We're working full power for something big. So that's what you can look forward to. Tolle Neuigkeiten, bin sehr gespannt auf den Launch! In ein paar Tagen werden wir gemeinsam abheben und den zerstörten Planet Erde hinter uns lassen. Strong battle about the planets. May the intergalactic games begin. Great job! Amazing game! Good alternative to steemnova. Waiting for the sound of the rocket launching towards the galaxy. 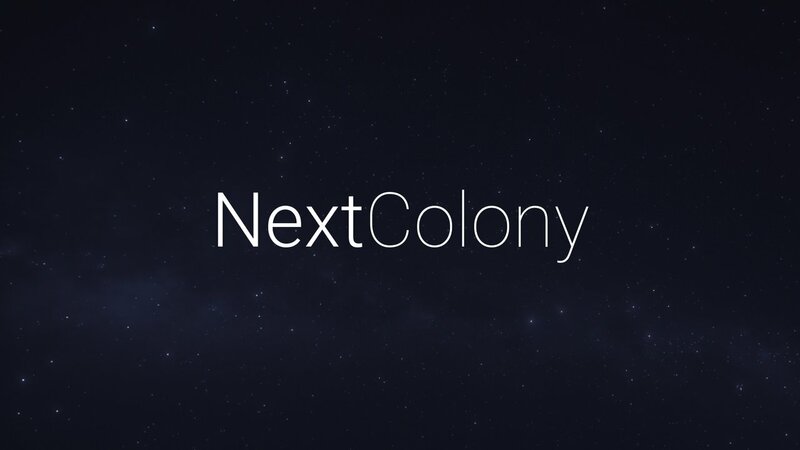 Great news @nextcolony and when everything starts, it will be amazing, well done! We heard you have shares of a legendary planet. Auch wenn ich nicht so der Spieler bin, finde ich es doch eine gute Sache um die Community zu festigen. Es wird sich zeigen, wie die Kolonien und Allianzen im Universum mit ihren Schiffen die Welten erobern. ⚡$$$ Tipped @nextcolony ⚡100.000 SWIFT! If you don't know how I work, click here! Currently the price of SwiftCash in the market is $0.003 USD per SWIFT. Current value of the tip is $0.300 USD. To find out more about SwiftCash, please read our whitepaper! Magic Dice has rewarded your post with a 16% upvote. Thanks for playing Magic Dice. Is this free to play? In any case you have the possibility to play for free. If you are smart, you can help yourself with Steem in different ways. You auction planets for free? Unfortunately not, because our coffee and donuts are not for free either. Cool. We're not rocking only the universe but also the Steem Hit Parade. The adventure is about to begin and the universe awaits ("Beyond there are monsters", says the legend of the navigation chart). Nice! You are talented. You should think about taking part in the NextColony RPG Story Contest from @art-universe . @nextcolony, Keep up the good work team and sounds like this game will going to become the trend after the launch. Good to hear that and welcome. excited for the release ! counting down ! what are the type of income sources within the game ? i suppose build instant upgrade, units purchase, will there be market to trade resources / fleets ? How's the 30% income distributed ? by resource productions ? battle scores ? There won't be instant upgrades or units purchases. "will there be market to trade resources / fleets "
We are still thinking about a market for trading resources / fleets. We are not sure about that. But you can trade indirectly, that's not "illegal". You can definitely trade items and planets. "How's the 30% income distributed ? by resource productions ? battle scores ?" In any case, we will create a balanced reward system. Thank you for your suggestion. Are new bids shown in real-time, or should I monitor steemd? Thanks for your question. We're updating every second. But we still use steemd in parallel as well. Also, are these auctions the only form of investment you're taking? If there are other plans, please let me know. We don't ne much - just coffee and donuts, so this is the only Type of invest. Thanks for your effort. Anything those of us with more limited budgets can buy? Of course. In the game redfishes, minnows, dolphins, and whales will have their fun and play experience. Fair enough. I thought maybe there were other presales I might be missing out on. Thanks! Is the game free to play? Any fee to enter? Thank you for your question @arkmy. There's no fee to enter and free to play. Looking forward to see this cool project going live and love to spend some !BEER support for the great team. Great invitation but we are too busy with coffee and donuts (: But don't let it take you to mention us. Sure, I will have a look to @rivalzzz video and share this around. Win Steem dollars, honor and upvotes! Fair to everyone, only your skill matters! To view or trade BEER go to steem-engine.com. Here is your BEER token!